Private Pay Agreement/Patient Service Agreement. Note: You need to make a choice about receiving these health care services. The purpose of this form is to help you make an informed decision about whether or not you want to receive the telemedicine/phone consultation service, knowing that you will have to pay for it yourself. UCM is a professional medical services entity that provides telehealth services that enables its Members to access and consult with a licensed professional anytime, anywhere via UCM’s proprietary system, methods and protocols. As a Member, Patient and his or her covered family members will have unlimited access to certain member services, including, but not limited to, an EHR Patient Portal (“Member Services”). Professional Services. Patient and his or her covered family members will have 24/7 access to professional medical services from licensed physicians or supervised physician assistants and/or nurse practitioners (“Professionals”) via telemedicine and other applications (“Professional Services”). Patient acknowledges and understands that he or she will not receive any services from UCM or its Professionals unless defined as a Member Service or Professional Service under this Agreement or UCM policy. Patient acknowledges and understands that UCM and its Professionals are engaged for limited purposes and are not his or her primary care or specialized practitioner. UCM and its Professionals may prescribe medicines or other treatments, procedures, services or products to Patient in connection with Patient’s treatment; however, to the extent that such prescriptions or other treatments, procedures, services or products are discussed by the Professionals, neither UCM (to the extent applicable), nor the Professionals shall be deemed to be making claims, express or implied, as to the efficacy for any medical condition. Patient shall contact a primary care physician or specialist regarding any issues that may be identified or arise during receipt of Member Services and Professional Services pursuant to this Agreement. Patient acknowledges and understands that the scope and delivery of the UCM Services set forth in this Section may be amended or modified at any time at the sole discretion of UCM. Membership Fee. Each Patient shall be responsible for and agrees to pay a $2.00 (USD) fee per calendar month (“Membership Fee”). The Membership Fee shall cover all costs and expenses owed by Patient for access to and receipt of Member Services as defined in Section 1.1 herein. If Patient elects to enroll his or her immediate family members, Patient shall be responsible for and agrees to pay a Membership Fee of $4.00 (USD) per calendar month to cover Patient and all immediate family members (maximum of five) (dependents under the age of 22 years). Each covered family member shall be considered separately for any additional fees set forth herein for services received pursuant to this Agreement. Patient understands and agrees that the initial Membership Fee shall be paid prior to enrollment by completing the payment forms available online (upstatevipmedicine.com). The Membership Fee will be a monthly recurring, automatically renewing fee scheduled to occur based on the date that Patient first enrolls as a Member. If the Membership Fee is not paid by the fifteenth (15th) day of each month, except if due to an error or failure by UCM or its representatives, Patient may be subject to a late charge of $5.00 (USD) per member and interest thereafter at the rate of one and one-half percent (1.5%) per month on the outstanding balance, or the highest amount permitted by law, whichever is lower. Professional Fee. Patient shall be responsible for and agrees to pay the costs of Professional Services received during this Agreement by Patient and/or each covered family member based on timed increments and billed on an annual basis from the date that Patient first enrolls as a Member (“Professional Fee”). The Professional Fee shall be calculated based on the amount of time required of the Professional plus a proportionate amount of UCM’s total overhead costs to provide the Professional Service. The then current Professional Fees shall be available for reference online (www.unitedconciergemedicine.com) or by emailing (Info@UCMnow.com). Patient agrees to make an advanced payment of $10.00 (USD) per calendar month (“Retainer Fee”) plus a Retainer Fee per covered family member to be used as a retainer (the “Retainer”). The initial Retainer Fee will be due on the first day of the month after Patient first enrolls as a Member. The Retainer will be allocated to any Professional Fees, if and when incurred, for Professional Services received during the service year by Patient and/or each covered family member from the date that Patient first enrolls as a UCM Member and each subsequent service year thereafter. The annual sum of the Retainer will cover a specific number of Professional Services per Member per service year based on timed increments. If the costs of the Professional Services received by Patient and/or each covered family member during the service year exceeds the annual sum of the Retainer, Patient shall be responsible for and agrees to make payment for the balance of the Professional Fees as billed. UCM will invoice Patient one time per annum for the balance of the Professional Fees as of the invoice date. UCM shall not refund or carry over to the following service year any advanced payments unused in the Retainer. Payment in full is due within thirty (30) days upon the invoice date, unless prior arrangements have been made with the written acknowledgment of UCM. UCM may, but is not required to, offer discounted fees or similar incentives to Patient from time-to-time depending on financial hardship, without changing the Patient’s liability for the fees incurred hereunder, it being explicitly agreed that UCM is under no obligation to extend such other discounted fees or incentives to Patient. UCM has sole discretion as to who receives discounts, the amounts of discounts, when discounts are issued and all other issues related to the issuance of discounts. The fee amounts in this Section may change annually or at any time pursuant to an amendment to this Agreement at the sole discretion of UCM for any reason. UCM shall provide online notice of such change at least thirty (30) days prior to the effective date of any rate increase, unless such rate increase is caused by a change in law or regulation, or a change in the cost of providing services, in which case, UCM may give notice of an immediate rate change. Patient understands that the fees in this Section do not include the costs of any prescription medicines or other treatment, procedure, service or product provided by separate independent entities or individuals that may be prescribed or recommended by UCM and its Professionals in connection with the Patient’s treatment. Patient understands that he or she may receive one or more separate bills for such prescription medicines and other treatments, procedures, services or products and is wholly responsible for payment of such costs, and further understands, that the independent entities and individuals will have their own billing and collection practices. Patient represents and warrants that the UCM Services to be provided pursuant to this Agreement are not covered under any public or private health insurance program. Notwithstanding the above, Patient understands and agrees to be wholly responsible for the payment of any and all costs due and that may become due pursuant to this Agreement, regardless of the existence of coverage for such items or services under any public or private health insurance program. Patient understands and agrees not to submit a claim, bill to or seek reimbursement from any public health program (i.e. Medicare, Medicaid, Tricare, Veterans Affairs and Federal Benefits) or any private health insurance plan or worker’s compensation plan for any item or service received pursuant to this Agreement. Patient understands that he or she will not be able to appeal any determinations that public health program, private health insurance plan, or worker’s compensation plan will not pay for any item or service received pursuant to this Agreement. Patient understands that it is the Patient’s responsibility to gain access to a telephone, computer, email, the internet or video conferencing service to facilitate the provision of UCM’s Services under this Agreement. Patient understands that it is the Patient’s responsibility to provide UCM and its Professionals with accurate and complete medical records, history and descriptions of the Patient or covered family member’s condition and physical well-being. Patient understands that, as with any service, to the extent that information provided is not accurate and complete, the services provided by UCM and its Professionals may be materially affected and Patient assumes any risk, and takes full responsibility and waives any claims against UCM and its Professionals for personal injury, death or damages as a result and agrees to the extent permitted by applicable law to defend, indemnify and hold harmless UCM and its Professionals from and against any and all claims of any nature including all costs, expenses and attorneys’ fees, which in any manner result from inaccurate or incomplete information provided by Patient or its authorized representative. This Agreement shall automatically renew each month from the first day of the month after the Patient first enrolls as a Member. Patient may immediately terminate this Agreement without cause upon written (Customer Support, Upstate Concierge Medicine, 216 River Street, Third floor, Troy NY 12180) or electronic (info@UCMnow.com) notice to UCM. If Patient terminates this Agreement, he or she will not receive a pro-rata refund of the remainder of the month’s Membership Fee or any then current balance in the Retainer. Patient will be allowed to access Member Services and Professional Services for the remainder of the month if applicable. If Patient terminates this Agreement within five (5) days prior to the next recurring, automatically renewing, monthly billing cycle, Patient will be responsible for the next month, during which such time Patient will have access to the Member Services and Professional Services, and this Agreement will terminate at the expiration of said next month. Termination of this Agreement shall not relieve Patient of responsibility for any obligation, whether of payment or performance, incurred prior to termination but remaining unsatisfied as of the date of termination. There shall be a $35 cancellation fee if Patient terminates this Agreement enrollment within ninety (90) days based on the date that Patient first enrolls as a Member. Patient Consent. If Patient is unable to sign, consent for treatment is given by his or her duly authorized representative. For purposes of this agreement, the term “Patient” includes any representative(s) of Patient authorized to make decisions and sign this Agreement on the Patient’s behalf. Notice of Privacy Practices. Patient acknowledges having access to and reviewed UCM’s Notice of Medical Information Privacy Practices made available on-line (www.unitedconciergemedicine.com), which provides information about how UCM and its Professionals may use and disclose the Patient’s protected health information. The Notice of Medical Information Privacy Practices may be subject to change. If you have any questions about our Notice of Medical Information Privacy Practices, please contact a designated representative. Assignment. Patient and its covered family members shall not assign this Agreement, nor its right, title or interest herein assigned, transferred, conveyed, sublet or otherwise disposed of without the express written consent of UCM and any attempts to assign this Agreement without written consent are null and void. UCM will not necessarily be the provider of services under this Agreement and Patient may be provided services under this Agreement by a contracted professional medical individual or entity. Patient agrees that UCM may delegate responsibilities related to the UCM’s Services to one or more independent contractors. Third Party Software. UCM does not warrant any software created or licensed in connection with the EHR Patient Portal (“Third Party Software”). Warranties with respect to Third Party Software are subject to such limits and conditions as are contained in the license agreements for the Third Party Software. Patient will be considered to have accepted the license agreements for the Third Party Software upon execution of this Agreement. Patient agrees that the Third Party Software is a documentation tool only, and that the Third Party Software is not intended to provide diagnoses, practice guidelines, advice or protocols for delivering medical care. Patient further agrees that it shall be solely responsible to ensure that the documentation of medical care is accurate. Under no circumstances shall UCM shall have any responsibility or liability as a result of this Agreement in connection with the Third Party Software for decisions made or actions taken or not taken in rendering medical care or for information provided to Patient or insurance companies, government agencies, or other payers. Carrier Lines. Patient acknowledges that in connection with the access and use of UCM Services that such services will be provided over various facilities and communications lines, and information may be transmitted over local exchange and internet backbone carrier lines and through routers, switches, and other devices (collectively, “Carrier Lines”) owned, maintained, and serviced by third-party carriers, utilities, and internet service providers, all of which are beyond UCM’s control. UCM assumes no liability for or relating to the integrity, privacy, security, confidentiality, or use of any information while it is transmitted on the carrier lines, or any delay, failure, interruption, interception, loss, transmission, or corruption of any data or other information attributable to transmission on the carrier lines. Use of the Carrier Lines is solely at the Patient’s risk and is subject to all applicable local, state, federal, and international laws. No Third-Party Beneficiary. No provision of this Agreement shall be construed to confer any third-party beneficiary rights to any non-party other than covered family members. Supervening Circumstances. UCM shall not be deemed in violation of any provision of this Agreement if it is prevented from performing any of its obligations by reason of: (a) severe weather and storms; (b) earthquakes or other natural occurrences; (c) strikes or other labor unrest; (d) power failures; (e) nuclear or other civil or military emergencies; (f) acts of legislative, judicial, executive, or administrative authorities; or (g) any other circumstances that are not within its reasonable control. This Section shall not apply to obligations imposed under applicable laws and regulations. Compliance. Any provision of law or regulation or judicial or administrative interpretation of same that invalidates, or otherwise is inconsistent with the terms of this Agreement that, in the reasonable judgment of either party, would cause one or both parties to be in violation of law or regulation shall be deemed to have suspended the terms of this Agreement; provided, however, that the parties shall exercise their best efforts to accommodate the terms and intent of this Agreement to the greatest extent possible consistent with the requirements of law and regulations. Severability. If any part, term or provision of this Agreement is held by a court of competent jurisdiction to be illegal or unenforceable, the remaining portions or provisions of this Agreement shall not be affected, and the rights and obligations of the Parties shall be construed and enforced as if this Agreement did not contain the particular part, term or provision held to be invalid, unless to do so would contravene the present valid and legal intent of the Parties. Survival. All provisions of this Agreement that by their nature or express terms survive the expiration or termination of this Agreement, shall survive such expiration or termination. Governing Law; Venue. This Agreement shall be enforced and construed in accordance with the laws of the State of New York. Jurisdiction of any litigation with respect to this Agreement shall be in New York, with venue in a court of competent jurisdiction or any other court having competent jurisdiction in the State of New York. The only information released shall be the minimum necessary. In any action, declaratory or otherwise, arising out of this Agreement, the prevailing party shall be awarded reasonable attorney’s fees and related costs to be paid by the other party. Entire Agreement. This Agreement, including any exhibits or schedules annexed hereto, constitutes the entire understanding and agreement between the parties with regard to all matters herein. There are no other agreements, conditions or representations, oral or written, express or implied, with regard thereto. This Agreement supersedes, in the entirety, any and all previous agreements, whether oral or written, between the parties concerning the subject matter hereof. Counterparts. This Agreement may be signed in any number of counterparts, no one of which need by signed by more than one party, and all such counterparts, when duly executed, will be considered an original of one and the same document. 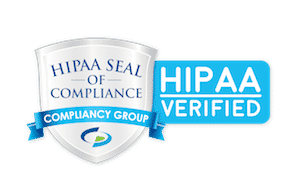 YOUR SIGNATURE BELOW INDICATES THAT YOU HAVE READ THIS AGREEMENT AND AGREE TO ITS TERMS AND ALSO SERVES AS AN ACKNOWLEDGEMENT THAT YOU HAVE RECEIVED THE HIPAA NOTICE FORM DESCRIBED ABOVE.